Home Columnist Can Jose Turn Himself From A Typewriter Into A Laptop? In truth, Jose Mourinho had been in the minds of football supporters, chairman, chief executives and fellow managers for a couple of years with the good work he had been achieving in Portugal and Porto in particular, and on 21st May 2003, Jose Mourinho and his Porto side announced themselves on the European stage by defeating Celtic in a pulsating encounter in the UEFA Cup final. If that wasn’t good enough, Mourinho followed up UEFA Cup success by achieving the ultimate glory in winning the Champions League, defeating Didier Deschamps highly talented Monaco side, in truth, Porto completely destroyed Monaco from the outset, it was almost if was Mourinho’s destiny. 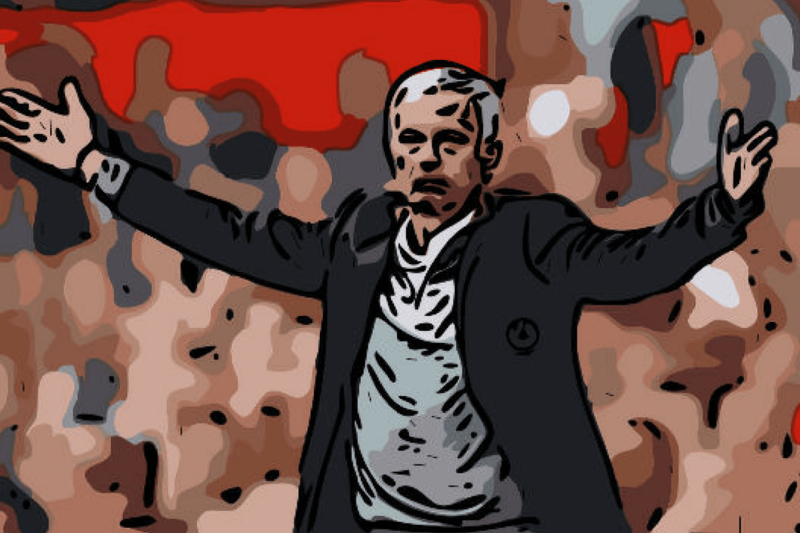 Victory in Gelsenkirchen had brought Jose Mourinho to the forefront of football in both Europe and to the rest of the watching world – a new star had been thrust upon us. Roman Abramovich, acted swiftly, the Chelsea owner saw a vision of what he wanted his newly purchased football club to be, and saw the Portuguese as the man to bring both domestic and European success to Stamford Bridge. Jose Mourinho’s first get together with his new Chelsea charges has gone down into Chelsea and football folklore, with the exception of Claude Makelele, he informed his players that he would turn them into champions, and as good as his word, with victory over Bolton at the Reebok Stadium on Saturday 30th April 2005, Chelsea won their first league title in 50 years, and on the centenary year of the football club, thus adding the Premier League title to the already won Carling Cup for his first eight months into his Chelsea reign. Everything in which John Terry described is exactly what made Jose Mourinho such an overwhelming success in his first spell in his first spell as Chelsea manager – and despite some articles reporting that Jose Mourinho only buys ‘ready-made players’ and doesn’t give younger players a chance is stretching that myth a little far; if you analyse his spine at Chelsea in his first spell, the average age of Cech – Terry – Lampard and Drogba was 24.4 years old, not exactly old hands, and if you factor in Arjen Robben (20 years old in 2004), so to throw the accusation that Mourinho only sought-after players ready to slot straight into the starting eleven is, well to put it bluntly – lazy. In terms of his recent escapades with Real Madrid, Chelsea (second spell) and now Manchester United, what has changed since his 2003-2010 heyday. With an ever-changing world, there has also been an evolutionary shift in how football is played and indeed how it is watched, whether at the stadiums or for the armchair fanatic – look no further than an old adversary, and old friend and an rival that has plagued Jose Mourinho since he himself announced his managerial capabilities in the 2008-09 season, one Pep Guardiola. For Pep Guardiola to take Barcelona to a treble in his first season as a manager, all the while playing some of the best football seen since Holland and total football in 1974, a shift in the footballing landscape had been thrust upon us, the watching millions, perhaps billions for certain matches wanted more. New challenges emerged across Europe, Jurgen Klopp and his Borussia Dortmund side winning back-to-back Bundesliga titles and reaching an all-German Champions League final with an all-conquering ‘Gegenpressing’ style of football – a different approach to attacking football but still in keeping with Cruyffian philosophies into how football should be approached – Massimiliano Allegri was adding to Antonio Conte footprint of success at Juventus and dominating Serie A, Conte himself would prove troublesome when joining Mourinho in the Premier League in 2016, so from having virtually the whole playground to himself with notable exceptions, of course, in Ancelotti, Ferguson and Wenger, Mourinho now has to deal with more adversaries, and ones who are not afraid to go all out attacking in the pursuit of glory. For Mourinho, and his style of football to be condemned isn’t exactly a new fad, even throughout his time at Porto, notably after the final whistle, Celtic manager was scathing in Porto’s perceived tactics in regards to time wasting and negativity; some of his greatest achievements were tinged with barbs from opposition managers – Sir Alex Ferguson questioned the ‘honesty’ of the Porto players following defeat in the Estadio do Dragao and Uefa referees committee bestowed on Mourinho perhaps the ultimate insult, in branding him ‘the enemy of football’ following the Portuguese’s comments concerning referee Anders Frisk after a Champions League tie in Barcelona, which led to the referee retiring after receiving death threats. So to add to his perceived negative football, his personality and dealing with his contemporaries was being brought into question – all the while when you are winning and enjoying success, such negativity can be brushed aside with a trophy or two, but when things start to turn and change, then that is where a shift in thinking can gather pace, and rather quickly. So the world in which saw Mourinho win seven league titles, two Champions Leagues and eight domestic trophies between 2003-2012 is a completely different one which has seen just one league title, two domestic cups and one Europa League from 2012-2018. The innovative upstart which moved to these shores and ripped up the old ways in which to win league titles with his tactical prowess, his game management and his attention to detail about the opponent, no matter if it was Manchester United or Mansfield, has begun to be overtaken taken – not surpassed, Jurgen Klopp, Maurizio Sarri and Mauricio Pochettino would give their right arm for his trophy haul. The benchmark has now been set with Pep Guardiola ripping up Mourinho’s version of winning league titles from the opening day, replacing the same philosophy, but tweaking it with attacking football – add Jurgen Klopp into the mix with his gegenpressing style bewitching our hearts and minds, throw in Sarri ball which could prove successful only time will tell – it does give Mourinho pause for thought. For the self-styled ‘Special One’ who crash landed in West London all those years ago and captured all our hearts with his personality and winning mentality, it may have come to pass that in this digital age that Mourinho himself has to adapt to this fast-paced modern world. If all this negativity and atmosphere that surrounds Jose Mourinho and Manchester United continues for much longer, time may well pass Mourinho by, and he could well be the working equivalent of an office worker writing up reports on his typewriter rather than use a laptop like the rest of his colleagues. ‘The Special One’ needs to turn his typewriter into a laptop and adjust himself to this fast-paced modern world, much like the rest of his contemporaries already have. 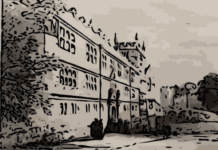 Next articleThe Loan System – Does it Work?